This is a sponsored post written by me on behalf of PERK. All opinions are 100% mine. I am constantly doing what I can to make sure our house and cars smell good. If it’s been on the market or pinned on Pinterest, most likely I’ve tried it. I think it all goes back to a time when I was a young mother and we were trying to sell our first home. If you’ve ever put your house on the market, you know just how stressful keeping the home clean and fresh for potential buyers can be. Our realtor showed a couple our home and what was their one complaint? That a couple of the rooms smelled like dog. I was absolutely crushed. I was a stay at home mom at the time and taking care of our children and keeping our home clean, were two of my greatest joys in life. Needless to say after that situation, I’ve been ruthless when it comes to how our house smells. And then there’s our vehicles. Do you have days you feel like you spend more time in your car then you do your own house? Yep, me too. From school drop offs and pick ups, to running errands and getting kids to extra curricular activities, our car can become a second home. It can also become a hiding place for dropped food, smelly socks and forgotten cups of who-knows-what-that-used-to-be. There’s something very calming about getting into your car first thing in the morning and it’s a) clean and b) it smells good. Keeping my car clean and smelling fresh makes me feel a little in control of life, especially when areas of life get completely out of control. 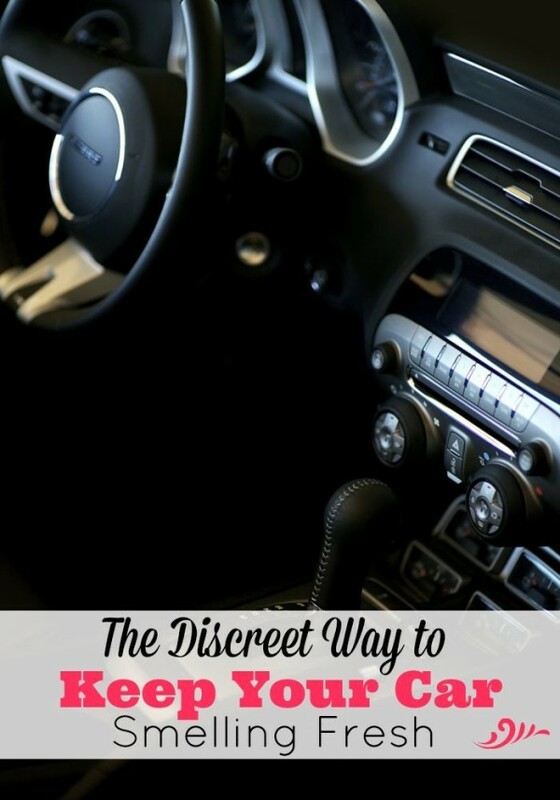 How do I keep my car smelling fresh discreetly? With a PERK Vent Wrap. Just like you probably have, I’ve purchased clips, fans, oils and rear view mirror ornaments to get my car smelling like a tub of vanilla ice cream, an evergreen forest in Washington or a new car I just drove off the lot. 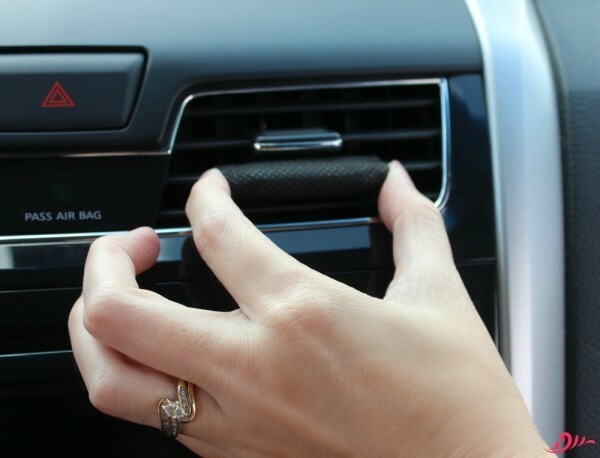 I’ve had oils leak, clips that lasted 3 days and fresheners that blocked one of the vents – which isn’t helpful on a 100 degree day in Texas. 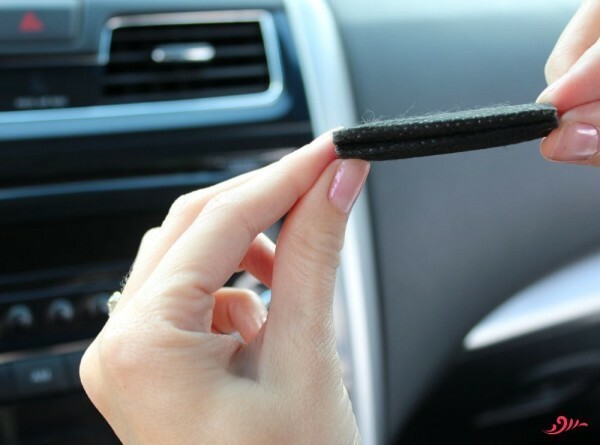 PERK Vent Wraps are fragrance you’ll notice, but an air freshener you won’t! 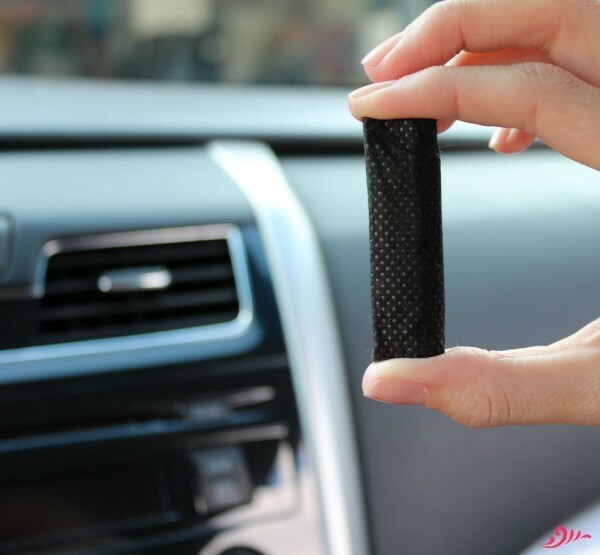 It’s unique design simply wraps around your vent blade, providing discreet fragrance that lasts up to 15 days. 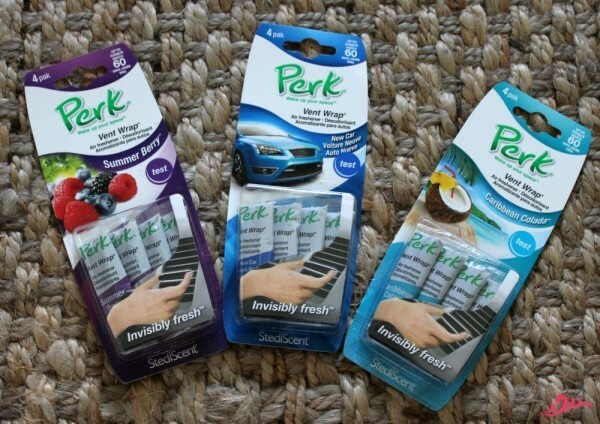 (They come in 4 packs, so one pack equals 60 days of a fantastic smelling car.) 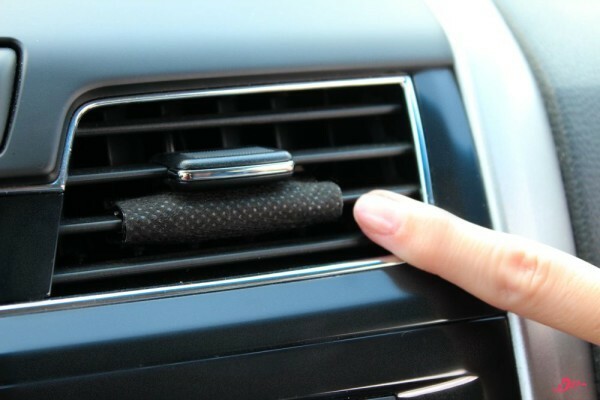 The vent wrap doesn’t block air flow and works whether your vent is on or off. Plus the StediScent™ technology delivers consistent fragrance that is the same from the first day to the last day. 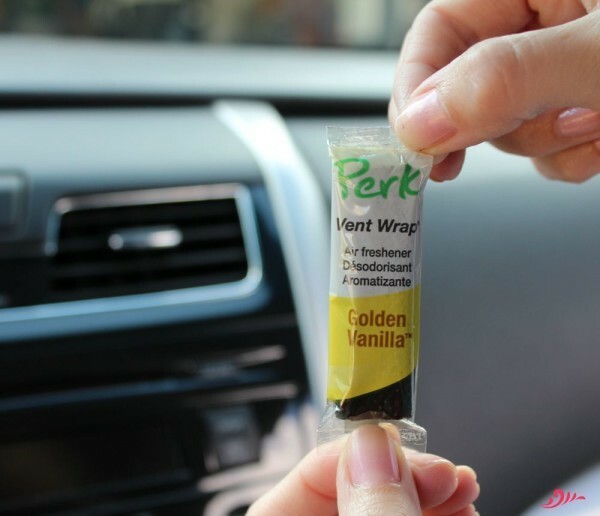 I put Golden Vanilla in our cars and the scent is amazing. I can’t wait to try their other scents including Caribbean Colada and New Car. Must reside in the U.S. I love anything Vanilla, but don’t know what other fragrances these come in yet. Would love to try them! I would like to try the Golden Vanilla scent. Golden Vanilla I’d love to try. My favorite would be Golden Vanilla. My favorite is the New Car scent! My favorite air freshener scent is vanilla. My favorite air freshener scent is new car. i have to go with new car scent. who doesnt love the scent of a new car? I’d like to try Golden Vanilla. I think I would like the golden vanilla. I like anything berry/fruity! I would love this! I would like to try the Summer Berry scent. i would love to try these! My favorite scent is clean laundry!! I like the new car scent!! I would love to try the Golden Vanilla, I love Vanilla!